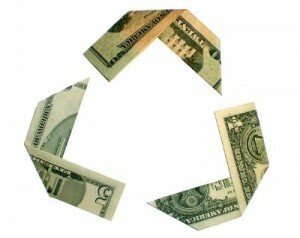 Are You Saving Money While Being Green? You are here: Home / Great Deals / Are You Saving Money While Being Green? You know…(that’s probably not the best way to start a post) 🙂 as I was thinking about Earth Day and recycling and all that jazz. Don’t hate me, but, I am not the greenest person around. I have just recently started using my recycle bins for more than throwing away newspapers left over after I pull the coupons out! But, I have now installed one in the house to help save on trash bags, so that’s one way I am saving money recyling. But, the one way I was actually thinking about when I thought about writing this was: food. You know I have been on a weight loss journey for months now as I have been recovering from my surgery. By the way, as of today I have lost a total of 42 lbs! I am very proud about that, too! My husband was working out for a while and he didn’t see any change in his weight. Then as he got busier in the last couple of months he didn’t find any time to work out. So, this week he decided to start back, when he did he was shocked to find that he had lost 35 lbs! He lost it not working out and in 2 months! Now, what does all that have to do with saving money and all that? Well, when he was working out he ate normally. My take on this weight loss stuff is that I would much rather NOT exercise and cut back on my intake and his take on it is that he would MUCH rather work out like a maniac and continue to eat the way he always has. Well, I think you can tell by now who’s plan was working…we’ll just leave it at that. So, what I have found is that in cutting back on how much I eat and of course I control what the family eats so I have cut back on their intake as well, is that we have saved SOOO much money! Now, I already coupon shop like a fool! A smart fool! 🙂 So, we already save alot more than most, but, WOW, cutting back on all that excess food we were eating really adds up quick! A few weeks ago my husband brought home a pack of chicken breasts he found on sale, he was so happy they were such a good deal and he couldn’t wait to grill them up. I grabbed them and cut them into 4 oz pieces and packaged up enough for 9 meals! He was shocked, to say the least, he thought that would be a good 3 meals! Before – it would have been! We have been overeating for waaay too long and now that we are eating a normal amount of food it really has made a difference, in our weight and health as well as our wallet! So, I think that eating less has made us healthier and save money and in turn we make less waste – less packaging, no fast food containers, less trash bags, and rarely any spoiled food – because we don’t have leftovers now! So, there’s us doing our part – not quite “green”, but a start nonetheless! How has changing some things you are doing in your family helping you to save money? Share your ideas so we can all benefit! You are doing your part. Recycling is just one part of the equation. Its “Reduce, Reuse and Recycling”. Thats what we teach in school. It starts with reduce and then moves down the line to recycling. Kudos for the weight loss! @Lisa: Thanks that was encouraging on both counts! Dian, I am so proud of you!42lbs! Wow! that is amazing. Can you post a current pic of yourself? I am down 37.2 lbs as of yesterday. That’s at 15 weeks. I will weigh in again on Thursday. It is a struggle but things have gotten so much easier. 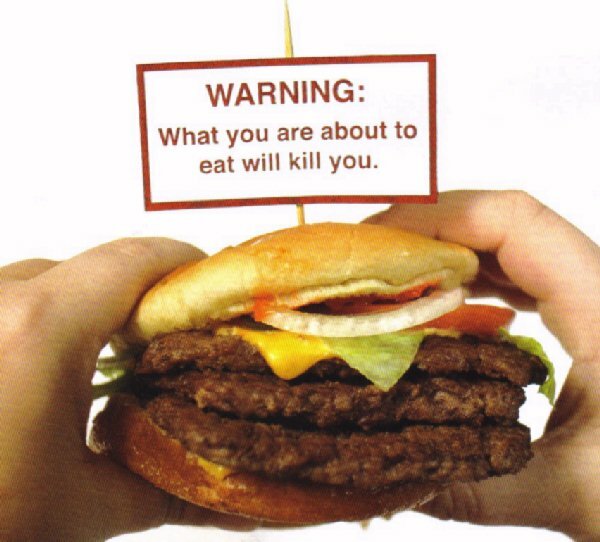 I am not as “consumed” and “totally obsessed” with food like I used to be but it is still an addiction for me and something I have to think about everytime I put food in my mouth. But I can see myself losing all the weight within 2 years. I am giving myself 5 years. My first accomplishment is being able to stand up through just one hymn in church. That’s right! At 40 years old, I could not stand up through one hymn in church and got winded going from church to my van. I was using the elevator. Praise God for giving me the strength and opening my ears and eyes to what he needed to show me to succeed. God is good and he truly can help with ANY situation. I’m praying for you and again, thanks for this site and for your constant support and encouragement. @April L: Thanks April! WOW! You are doing AMAZING! I don’t think at this rate it will take you 5 or even 2 years to get to your goal, you are doing fantastic! I am so proud of the change that you have made in your life! I know what you mean about the addiction, I still sometimes have to be conscious of it. I used to eat 2 Krispy Kreme Donuts and a glass of milk each Sunday morning, I haven’t had one in many months and I am fine with it, I can watch others eat them and everything, it gets easier. I am amazed every time I look in the mirror, I cannot believe that’s me and the weird thing is I didn’t realize how big I had gotten! I went many years without having a scale and I think that’s what did it for me, too. We recently bought a scale and I weigh everyday and more than once! If we had one before I KNOW I would have seen it coming and stopped! My husband has lost 40 lbs! He is doing great, he’s lost it faster, because we know that men do, but he has more to lose than I, so I think we are on even ground. Congrats on the weight loss so far and I will be praying for your continued weight loss journey!